John Daniel “Jack” Humphreys, 78, husband of Joanne Lee “Jody” Humphreys and a resident of Eastville, VA, welcomed eternal life and love in the arms of his Lord and Savior on Friday, January 18, 2019. Born in Evanston, IL on November 13, 1940, he was a son of the late Lloyd Girton Humphreys and Dorothy Windes Humphreys. Throughout his childhood, Jack’s father served in the military, and later, worked as a university professor, which relocated their family to military bases and university campuses in several states. Accustomed to a life on the move, he continued to travel and work in many places over the years, having visited nearly every state in his lifetime. Jack attended high school in San Antonio, TX, where his band was selected to march in the Rose Parade in Pasadena, CA. At the age of 17, he joined the United States Navy, where he worked as a radioman and achieved the rank of Petty Officer Second Class. Jack’s favorite deployment was with the AD 26 Shenandoah when they plucked John Glenn out of the Atlantic after one of the early space shots. He graduated from the University of Illinois with a BS in Forestry and went to work for the Harrison Crawford State Forest in southern Indiana. Jack brought his sense of humor to a short radio program in Louisville, KY and later moved to the Northern Neck of VA and worked as a commercial timber cruiser for a tree farm. Subsequently, he worked for Gateway Ford Tractor in MD, for 20 years. In 1994, he returned to Illinois to care for his parents and worked part time for Prairie Gardens. In addition to accepting short radio spots, he participated on a TV plant show. 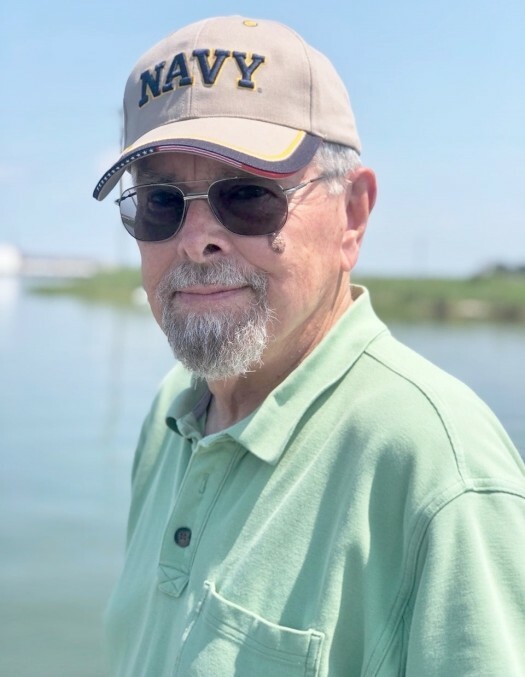 Upon his return to the Eastern Shore, he worked for Maplewood Gardens, and was a voice of the VA Tech Cooperative Extension on WESR radio, where he shared his extensive knowledge in the preservation and care of our native landscape. Jack was the former President of the Master Gardeners in Illinois and Virginia and became a Master Naturalist, frequently leading tours of Fisherman Island. He was a member of the American Legion and a longtime board member of Citizens for a Better Eastern Shore (CBES). Jack was an ordained Elder who served in Presbyterian Churches in Illinois, and most recently, at Naomi Makemie Presbyterian Church, in Onancock. In addition to his wife, he is survived by his children, William Lee Humphreys of Dale City, VA, Jeffrey Carl Humphreys and his wife, Shelagh Murphy Humphreys, of Chesapeake, VA, Kimberly Denise Koeppen of Mt. Crawford, VA, and Christopher David Wyckoff and his wife, Tamera Boom, of Corbett, OR; brother, Michael Stephenson Humphreys and his wife, Anita Stinerts, of Brisbane, QL; sisters, Margaret Ann Campbell of St. Ann, MO and Susan Jeanne Humphreys of Monticello, IL; granddaughters, Sarah Colleen Humphreys, Dana Elizabeth Humphreys, Jenna Kathryn Humphreys and Jessica Nicole Koeppen; and several nieces and a nephew. A service in celebration of Jack’s life will be held at Naomi Makemie Presbyterian Church on Saturday, February 2, 2019 at 2:00 p.m., with The Reverend Monica Gould officiating. In lieu of flowers, the family requests memorial donations be made to Naomi Makemie Presbyterian Church, P.O. Box 397, Onancock, VA 23417.